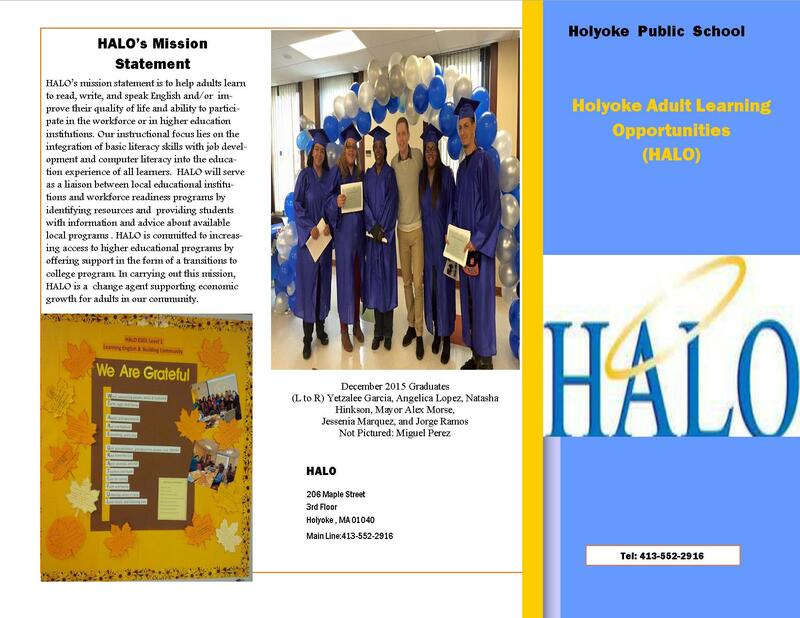 The Holyoke Adult Learning Opportunities (HALO) Center offers Literacy, Adult Basic Education, Pre-HISET, HISET, ABE preparation and ESOL programming to adults in Holyoke. 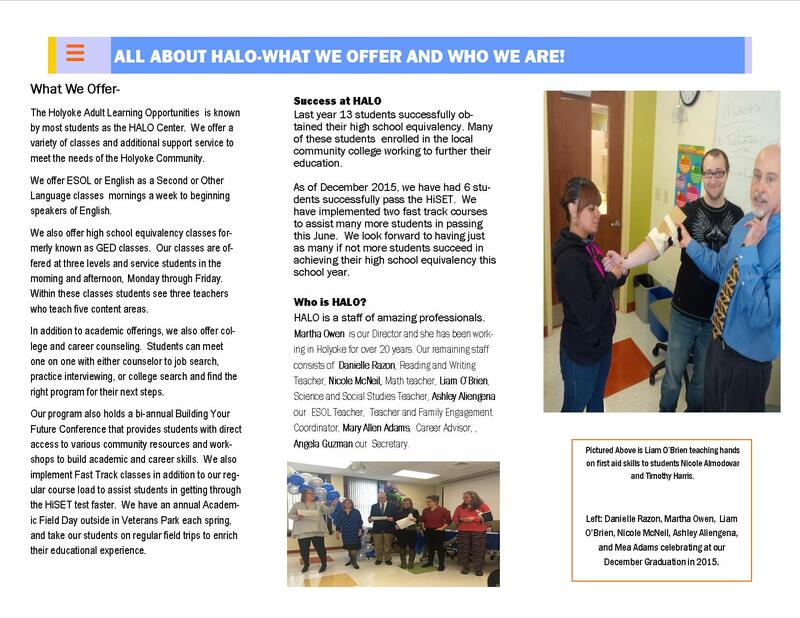 The HALO Center provides a safe, learner-centered environment while valuing diversity and supporting participants in achieving their maximum potential. HALO will serve as a liaison between local educational institutions and workforce readiness programs by identifying resources and providing students with information and advice about available local programs. HALO is committed to increasing access to higher educational programs by offering support in the form of a transitions to college program. In carrying out this mission HALO is a change agent supporting economic growth for adults in our community. We have managed enrollment. Students can enter our program at the beginning of one of our three cycles, as space becomes available. To support adult learners in attaining literacy and/or English communication skills that will prepare them for real-world success according to their own goals. To support adult learners in gaining skills that will help in advocating for themselves, their families, and their communities. 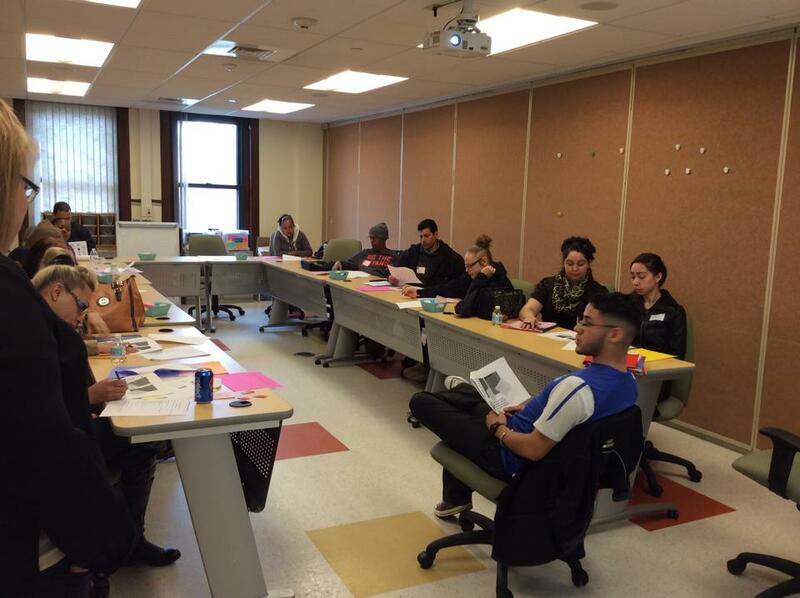 To help adult learners make the transition from ABE/ESOL programming to the "next steps": higher education, employment, vocational training, a more active role as citizens and/or any other goals or dreams they may have. To develop, model and maintain a learning environment in which diversity is valued in all of its forms. To support adult learners in gaining awareness and skills that will foster a commitment to lifelong learning.